“In a little more than a year the United States flew $12 billion in cash to Iraq, much of it in $100 bills, shrink wrapped and loaded onto pallets. Vanity Fair reported in 2004 that `at least $9 billion’ of the cash had `gone missing, unaccounted for.’ $9 billion. “Today, we learned that suitcases of $3 billion in cash have openly moved through the Kabul airport. One U.S. official quoted by the Wall Street Journal said, `A lot of this looks like our tax dollars being stolen.’ $3 billion. Consider this as the American people sweat out an extension of unemployment benefits. “Last week, the BBC reported that “the US military has been giving tens of millions of dollars to Afghan security firms who are funneling the money to warlords.” Add to that a corrupt Afghan government underwritten by the lives of our troops. “And now reports indicate that Congress is preparing to attach $10 billion in state education funding to a $33 billion spending bill to keep the war going. “Back home millions of Americans are out of work, losing their homes, losing their savings, their pensions, and their retirement security. We are losing our nation to lies about the necessity of war. WASHINGTON (PAI) – The Steelworkers union and the American Wind Energy Association have signed an agreement on working together to develop the wind power industry, emphasizing the need for alternative energy devices – windmills and wind turbines generating electricity – produced by U.S. workers in U.S. factories. Key parts of the pact include lobbying for a national standard ordering U.S. utilities to purchase a set percentage of their power from renewable sources – wind, solar, hydro, etc. – and for tax incentives to ensure the parts for the wind turbines and associated power plants and transmission lines are manufactured here, not overseas. “We expect this framework will help advance the promise of green jobs being key to our future. The nation cannot continue to fall behind other countries on clean energy manufacturing,” said Steelworkers President Leo Gerard. For insubordination, for disrespecting the Office of the President of the United States and for allowing derision of the White House among his staff, General Stanley McChrystal must resign. McChrystal has been summoned from Afghanistan to explain derisive comments and insubordination detailed in a new Rolling Stone article by Michael Hastings. As detailed in the article, the general and his staff were clearly disrespectful of the office of the president, as well as contemptuous of the civilian leadership of our country. McChrystal’s behavior and his toleration of similar behavior from his staff breeds an attitude of contempt for civilian leadership among his officers, and no Commander-in-Chief should tolerate it. McChrystal should resign, and the president should accept his resignation. 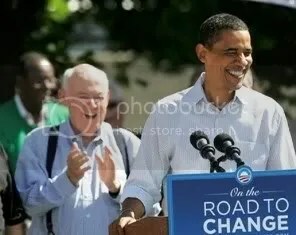 In the article, McChrystal and his aides heap derision on National Security Advisor Jim Jones (a “clown,”), Vice President Joe Biden (“Bite me,”), and the President of the United States, Barack Obama. Eric Bates, the magazine’s editor, said during an interview on MSNBC’s “Morning Joe” that McChrystal saw the piece prior to its publication as part of Rolling Stone’s standard fact-checking process – and that the general did not object to or dispute any of the reporting. General McChrystal, his staff, and his friends over at the Center for a New American Security (CNAS) have tried to manhandle this president from the beginning. They’ve played media games to try to force the president’s hand on the most recent troop increase in Afghanistan. Now they’ve been clearly insubordinate, clearly contemptuous of the civilian leadership of this country. He’s corroded respect for the chain of command and for civilian control of the military. He must resign. If the president wants to preserve a strong White House for the next president, he has to accept the resignation. Sign our petition calling for McChrystal’s resignation. We’ll send it to the Pentagon and the White House when McChrystal shows up to explain himself. Some twenty concerned voters gathered at Cong. 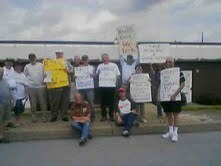 Jason Altmire’s Aliquppa, PA office at noon on June 16th for a Healthcare not Warfare vigil. The action was sponsored by Progressive Democrats of America and was held at the same time at over 100 Congressional offices across the country. Local members of the PA 4th CD Chapter of PDA were joined by members of SOAR, the retired steelworkers, and members of the Western PA Coalition for Single Payer Healthcare. 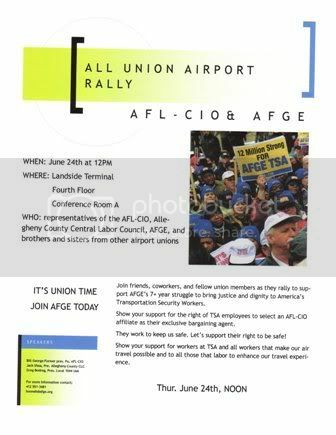 Support the TSA Workers June 24 at Noon! Rally at Main Terminal 4th Floor. Vigil at Cong. Altmire’s office on Wed. June 16th at noon. Hands off Social Security and Medicare. The Blue Dogs are using the banker created deficit as their excuse to cut critical programs that will keep workers alive and well. 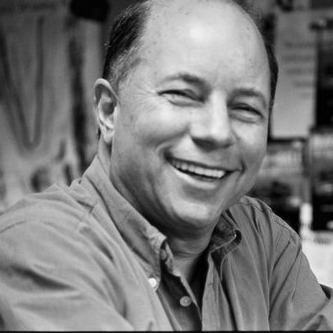 Blue Dog Altmire needs to hear from the voters.